Joseph Webb, Negosentro | A financial planner is a person who prepares plan related to finance, for people. 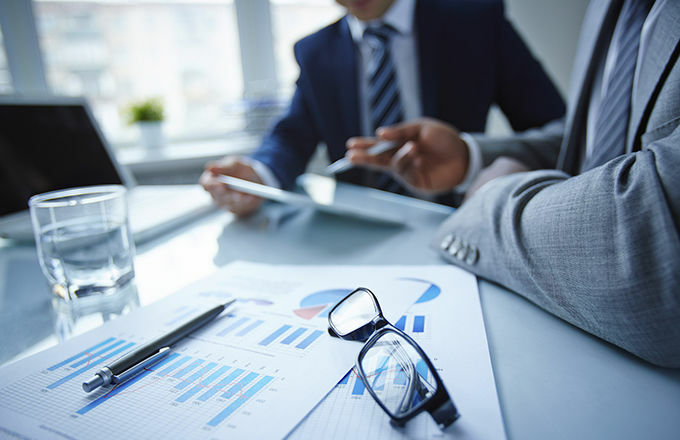 Their services usually include everything from managing cash flow, planning for retirement or investment, risk management related to finance, planning for investment in real estate and other planning involved in the business sector. Every financial planner holds the certification for CFP and must meet the examination, experience, education and ethics requirements. Every individual must fulfill the certification and renewal requirements of the CFB board and must own the CFP certification marks. The common types of advisers related to finance are explained below. Accountant: They usually guide the individuals on matters related to tax payment and help in preparing the tax returns and submitting them to Internal Revenue Services (IRS). All the accountants especially the ones who tend to work as Certified Public Accountant (CPAs) must have the license from the state where they tend to work. Attorney: Generally, a few attorneys work in this segment of providing planned financial services. They usually specialize in planning of tax and estate. They sometimes provide specific legal advice to the clients regarding planning of estate or taxation. An attorney is usually needed for assistance regarding matters such as trust documents, wills and business ownership planning. Insurance agent: All the insurance agents are licensed by a single or multiple states for selling health and life policies and several insurance products. They usually give advice or sell products related to insurance. Though all financial planners can give advice to the client related to insurance but it is mandatory to consult with the licensed insurance agents about the product which would be best suited for the individual. Some agents sell products for numerous companies while some are confined to a single one. Investment adviser: They are generally firms or individuals who give some advice related to security compensation. All the investment advisers must register themselves with the Securities and Exchange Commission (SEC) or other state security agency. Some financial planners work as investment planners since they sometimes advice people regarding investments based on security. However, investment advisers cannot sell any kind of security product without a valid license. State broker: The state brokers are registered representatives who are usually licensed by the state where they usually buy and sell products such as bonds, stocks and even mutual funds. They tend to get a percentage of all of their transactions. All the stockbrokers must be enrolled with a company that is a member of Financial Industry Regulatory Authority (FINRA) and must pass numerous FINRA-administered securities exams. Estate planner: They usually provide advice regarding taxes on the area or other plans regarding estates. It basically helps in making a preplan for management of the assets after the death of the individual. Estate planners can be anyone such as accountant, attorneys, financial planners, trust bankers or even insurance agents. Though anyone can provide services related to estate planning, it is mandatory to visit the attorney for preparation of the documents. It is mandatory to manage the money that a person has or earns to make sure he does not face any hurdles later in life. When a person is unsure about the numerous ways of money management they must get in touch with the financial planner. They cover everything from planning and budgeting large expenditures, to facing the most unexpected situation and also leaving behind an inheritance for the future generation. They usually tend to analyze the current financial situation and suggest several measures that can be taken to ensure more savings. It is important to consult them when a person receives a large amount of money suddenly and is unsure about how to keep it.